Flooding swept away homes and livelihoods in Kenya last year, leaving over 290,000 people homeless. We spoke to families we supported, to understand how the aid enabled them to start recovering. Across Kenya, thousands of families were forced to leave their homes after heavy rains and flooding washed away whole villages last year. Lives and livelihoods were hit hard. Responding to the disaster was extremely challenging. Kenya has a strict plastic ban, so we had to manually remove all plastic from our ShelterKits in our warehouses in Dubai and Belgium, before sending them to the country. We worked with the Kenya Red Cross and Rotary groups to provide aid items like solar lights, mosquito nets, kitchen sets, water filters and carriers, ground mats and ShelterKits to allow families to start rebuilding. But we didn’t stop there. 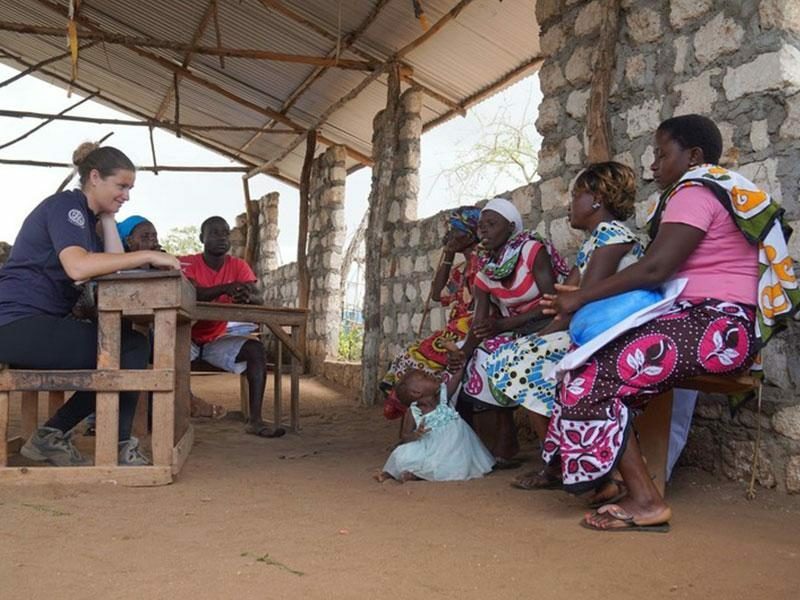 We took the time to speak with families we supported, to get some feedback and find out whether and how the aid was making a positive impact in their lives. Solar lights were greatly welcomed by families who ranked it as the most popular aid item. The solar lights allowed people to move around at night, as there is no electricity, and take part in social activities, such as going to their neighbours for dinner or praying together in groups. 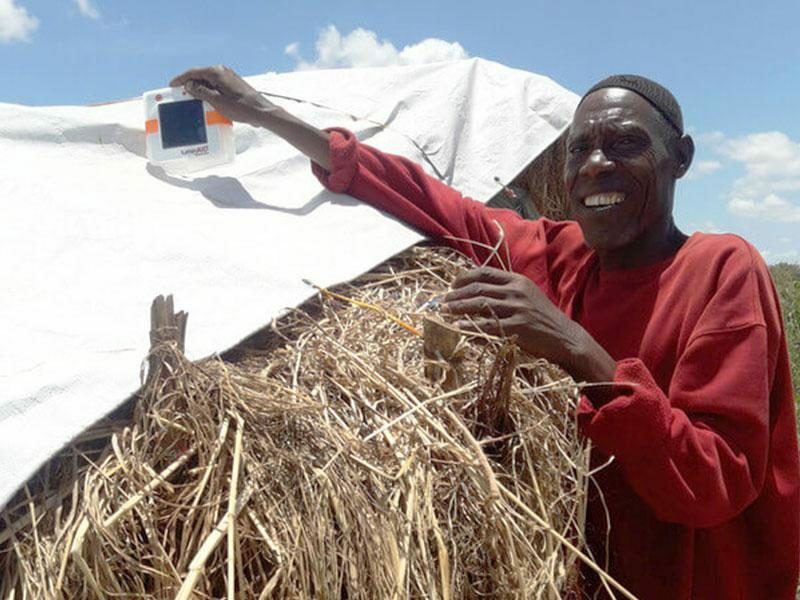 Our team spoke with a cattle farmer who used his solar light for his work. Before he had the solar light, he had to stay up at night to protect his cattle, scaring away the lions whenever they tried to attack. He told us that he used the flashing light at night to keep the lions away from his cattle, which meant he could finally sleep better. Sharing meals with family and neighbours is an important part of the Kenyan culture. That’s why the cooking sets were especially welcomed by families – they allow them to cook meals together again and feel a bit more normal. Families said they slept better because of the ground mats we provided. A mother told us that the ground mats were incredibly useful as they protected her son from sandworms that damaged his skin when it was in direct contact with the sand. The mat acts as a barrier between him and the ground, stopping the worms from hurting him. 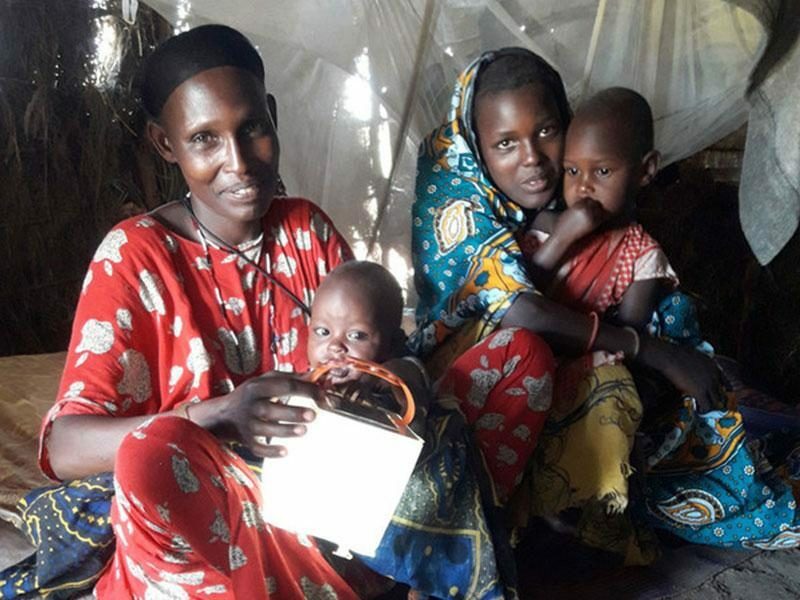 It’s important that families make the most out of the aid items they receive. That’s why we follow a ‘train the trainer’ approach, providing extensive training to volunteers from local agencies, to then go ahead and train whole communities. To support the training, we also provide educational leaflets with images explaining how to use the aid items. The training we provided had very positive feedback. The Red Cross volunteers were given the knowledge and skills to train communities and ensure the aid was used in the right way. The tools were incredibly welcomed by families. Mariam from Kilifi county said that she loved the tools and being taught on how to use them. As a woman I had never been taught how to use tools. Because of the training I am now able to use them to help build the shelter in the day when my husband is working, and I will also be able to use some of them in the farm. This makes me very happy. Families are at the heart of what we do. We don’t just make sure that families have the essential aid they need to rebuild their lives after disaster, but we also work really hard to make sure that we listen to the people we help. Listening to families and getting feedback on our work helps us get better and eventually reach even more families caught in disaster or conflict around the world.